It seems former India captain Mithali Raj is in the right space of mind and looking at things in a much more optimistic way. It seems former India captain Mithali Raj is in the right space of mind and looking at things in a much more optimistic way. Her differences with ousted coach Ramesh Powar and CoA member Diana Edulji is a thing of past as Mithali Raj gears up to make a “fresh start” under the able guidance of new coach WV Raman in the upcoming tour of New Zealand. The women’s team was at the centre of a huge controversy after their semi-final exit in the T20 World Cup in the West Indies after Raj accused previous coach Powar of bias and CoA member Edulji of trying to finish her career. “I think it’s a fresh start. 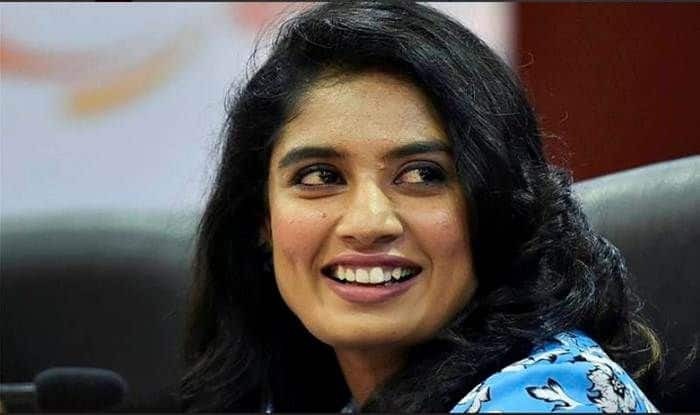 Coming into the new year, this is the first series and yes we have moved on from that (controversy),” ODI skipper Mithali told reporters during the team’s pre-departure press conference here on Sunday. “When a coach comes in the national side, we as a team are very vocal and expressive as to what is required for the benefit of the team. The coach and the players will have to be on the same page, because that’s very important.” While this will be her first stint under Raman, she is confident that it will be onwards and upwards from here on. “And I am sure. I have not trained under him (Raman) but met him couple of time and if you seen his credential. He has played (at the highest level) and coached various teams at various levels. “So he comes with that and there are no expectations as such when you have credentials like that, you are only positive that the coach will make big difference to the team, getting in to the year and to the series,” the star batter exuded confidence in new coach. “I honestly believe every coach like how very captain has a very different take, they get very different perspective to the table, so does the coach. “The team what it is today, is because of all those various coaches, who trained the team in these years, the team has come so far and his (Raman) knowledge will only benefit the team to go further and above, to move forward,” she added. “At this level, every player understands what it takes to reach this level and what it takes as a team to play, go on an overseas tour, aim to win the series and gain those (ICC ranking) points. “So even though we (coach-captain) might have difference of opinions, but when it comes down to players, as a team, we sit and discuss,” the skipper said. Mithali is hopeful that she can bring the team together against the ‘White Ferns’ during the upcoming tour, one of the toughest assignments in recent times. “Individual brilliance can win you matches but if you have to win the series, you need every member, every core member of your team to perform and that performance has to compliment the team’s goal. I believe I will be able to get the team together again and that is what we are going to work on,” she added.